SINCE 1982 Grant Engineering & Manufacturing has been helping customers create high-quality precision parts from injection-molded plastics. 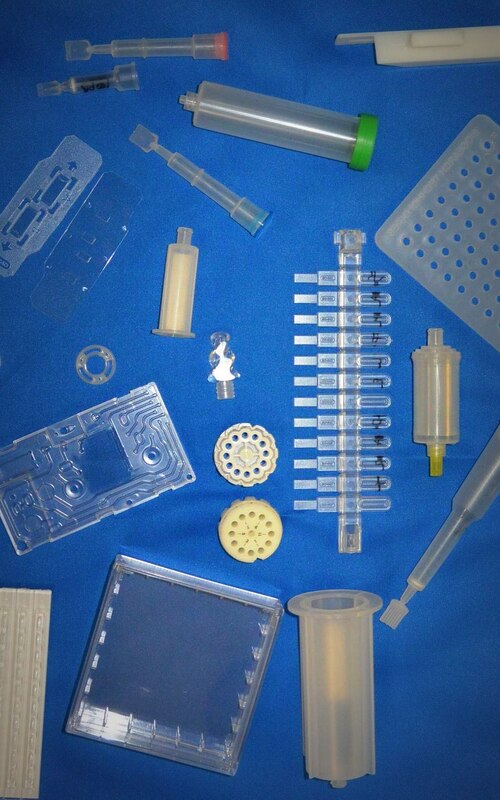 We are a full-service injection-molded plastics manufacturer and tooling company with the facilities and expertise to contribute whatever our customers need at any stage of the process—engineering input on manufacturability of product designs, complete tooling services, manufacturing, kitting and assembly to finished goods. 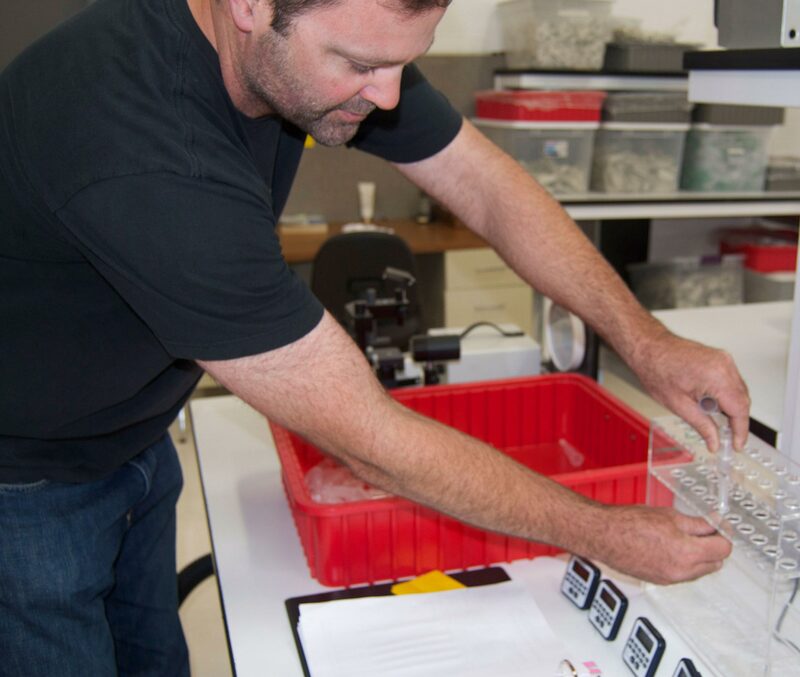 From biotech to high tech, for niche markets and consumer products, our collaborative, responsive work style has helped engineers, product managers, and inventors successfully deliver high-precision parts that meet or exceed their expectations for quality, turnaround time, and cost. We produce millions of parts every year, but we treat every customer and every project like the unique, one-of-a-kind opportunity it actually is. For us, that’s the beauty of manufacturing: every project is new and different, an exciting chance to think creatively about something that hasn’t been done before. That’s what attracted us to this business in the first place, and that’s still what keeps us going. 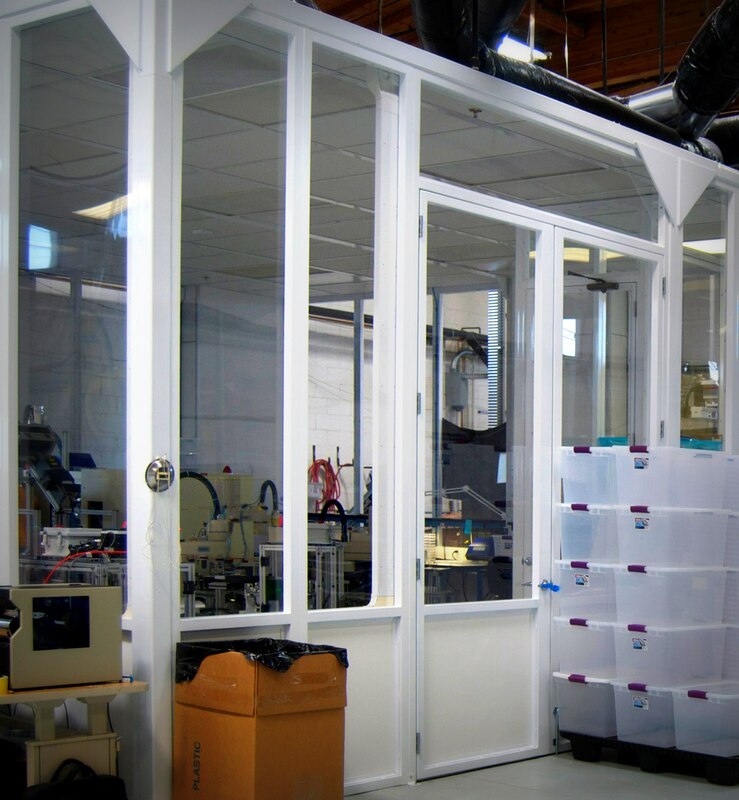 On any given day, if you walk around our Richmond, CA, facility, you'll see a dozen or so people working alongside robots on tasks varying from batch testing to packaging of a finished good. Most of us have worked together for more than a decade and no one has been here fewer than four years, so even though each person has a primary role, we have the skills and experience to back each other up on just about anything. As we’ve introduced robots and automation, the level of technical knowledge on our team has grown significantly, enabling us to fill even more technical roles for each other. With everyone trained properly and accustomed to adapting to different demands, the work stays interesting, our team builds skills, and we are all better equipped to respond quickly and creatively to our customers’ needs. It's a good group of people and a good place to work—the kind of place people don't want to leave—which means that everyone knows each other well, has been trained and cross trained on our systems, and is personally invested in the quality of our work and the success of our business. Decision making is a group process and ideas about the shop and the business are welcomed, so everyone is working to improve our products and our company. This culture of competence, teamwork, and commitment spills over into our work with our customers. You’ll find everyone highly skilled and capable but also extremely approachable and responsive—as if it were their own company. In short, our team is well established and highly skilled, so our time and energy is focused on building productive working relationships with customers, problem solving on specific projects, and thinking creatively about improvements to our systems and processes. Ultimately this means we can deliver a product that meets or exceeds your expectations for quality, turnaround time, and cost, and hopefully add you to our longstanding list of loyal customers. 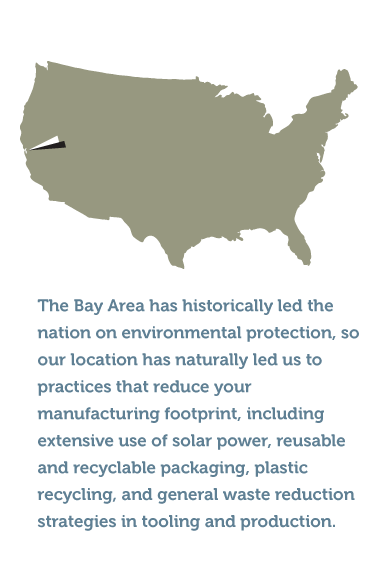 Grant Engineering & Manufacturing was started in California with the help of a well-established California firm, and we are very committed to remaining in our beautiful location on the San Francisco Bay. Thoughtful application of automation and training has enabled us to remain competitive with offshore pricing while continuing to offer the many benefits of working with a team in the California Bay Area. 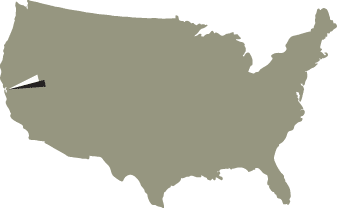 We naturally have a strong interest in supporting U.S. manufacturing, but many customers are finding that for quality, cost, and convenience, the benefits of our U.S. West Coast location far outweigh perceived advantages of offshoring. It’s easy to work with us: our work hours are convenient, we pose no cultural or language barriers, and we have access to all of the transportation, technology, and talent of a major metropolitan U.S. city. We are close to several technical hubs, so we can easily bring in specialists and technology to help with projects. 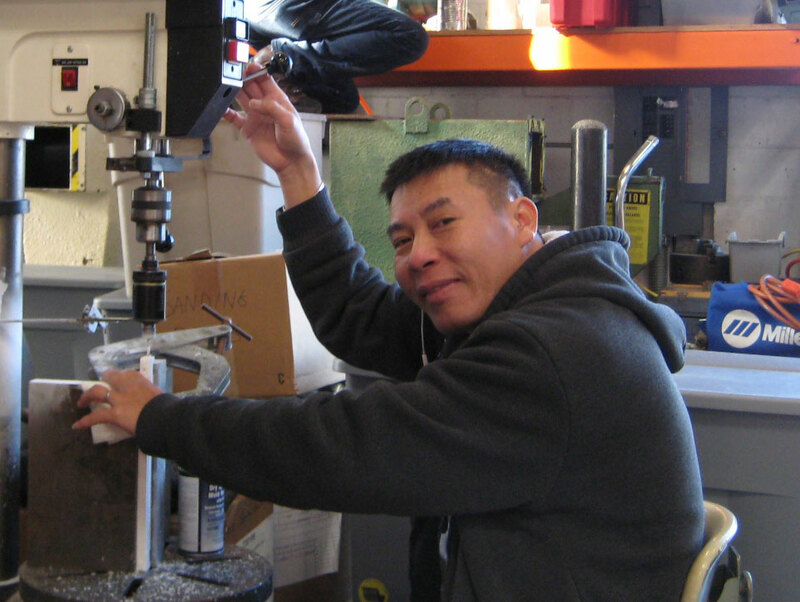 Overnight delivery of physical components—tooling, test parts for inspection, finished product—is a realistic option that can significantly improve turnaround time, communications, and final product quality. Face-to-face meetings and phone conversations are easy to coordinate, so collaboration is easier and more effective, and we can turn projects around more quickly. Our business relies on loyal, satisfied customers and we are acutely aware of the allure of offshoring to cut costs. This means we are strongly motivated to consistently deliver products at the quality our customers expect and continually look for ways to remain cost competitive while “overdelivering” on our promises. The passion for precision engineering at Grant comes directly from our founders, Rick and Randy Grant, brothers whose love of aviation led them west and straight into the engineering business. When they came to California in 1976, Rick and Randy were on a mission: to save a rare flying boat from the scrapyard and restore it to flying condition. As plans unfolded for the Solent III—later used as a Hollywood prop in Raiders of the Lost Ark—Rick and Randy’s drive, technical ingenuity, and resourcefulness attracted the attention of Jim and Harry McDonald, twin brothers who were pioneers in injection-molded precision parts and took the Grants “under their wing.” Within the McDonald’s well-established business, Rick and Randy learned tooling and business skills, served their first customers, and quickly earned a reputation for creative use of aviation innovations on projects—instrument housing fabricated out of aluminum with airplane-type construction, bead blasting (traditionally used to remove corrosion) for texturing parts, etc. They also hand delivered most of their projects, an unconventional approach that established immediate customer loyalty. Airplane parts still hang in the Grant facilities, and the passion for precision engineering remains at the heart of our work. When Rick and Randy bought the Solent III, it was clear they relished a good technical challenge, and that still permeates our culture today. Whether we’re working on medical testing equipment or skateboard parts, we bring an engineering mindset to every project, constantly looking for new and original ways to make our tooling and processes smarter and improve the quality of our service and the goods we deliver.